Rick Lance Voice Acting News: What is Radio Imaging and What does it have to do with Voice Over? What is Radio Imaging and What does it have to do with Voice Over? I still don’t get it – what exactly IS radio imaging? Okay, imagine when you turn your radio on to your favorite station. In between all of the songs, commercials, and DJ segments, there are little ads and blurbs that help you identify that station. For example, you may hear a bit that includes the radio station frequency and other details. This is usually done in a catchy way, with voice over and music that matches the brand of the station. Every time you hear that bit, you are able to identify the station you’re on. As a whole, radio imaging is a station’s way of branding themselves, so listeners can readily identify the station. What types of radio imaging are out there? There are all sorts of radio imaging possibilities. There are intros, sweepers, jingles, liners, music beds, bumpers, shotguns and more. These names may sound funny, but each of these serves a unique purpose in creating the stations brand – and none of it can be done without the talents of a voice actor. Ok, you keep saying voice actors are involved, but how? Voice over comprises a large segment of radio imaging. For every intro, sweeper or jingle, a voice actor has supplied their talent to bring that bit to life. 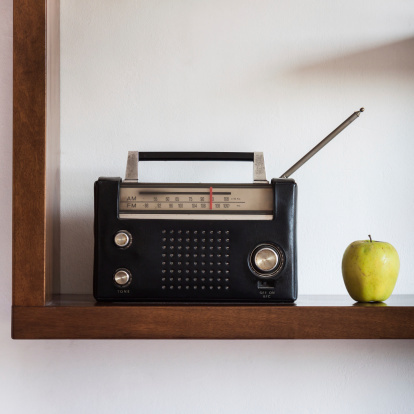 While other types of audio – music or other sounds – are usually present in radio imaging, it’s the voice over actor that delivers the message to consumers; even it’s just a 20-second station identifier. So the next time you’re listening to your favorite station, pay attention for those examples of radio imaging – and know that a talented voice actor out there helped create it.